Hey all! Sorry I missed my post yesterday, I got caught up in getting ready to go to Florida tonight. I can not wait for some warmth! Any ways, it is the first of the month, which means that there is a new monthly challenge over on Catherine & Cathy Create! This month's challenge is "Luck o' the Irish", or anything St. Patrick's Day. I'll admit that St. Patty's Day isn't a big holiday for me. So, I was a little stumped by this challenge at first. Then, I thought that every holiday is a good reason to give out a treat! 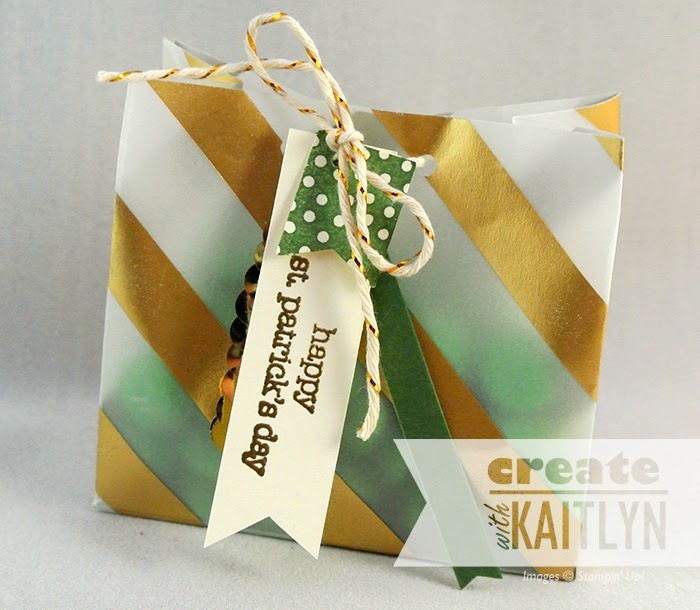 The Gold Fancy Foil Designer Vellum was a perfect starting point to create my treat bags. I filled them with green M&Ms, which you can see though the vellum. 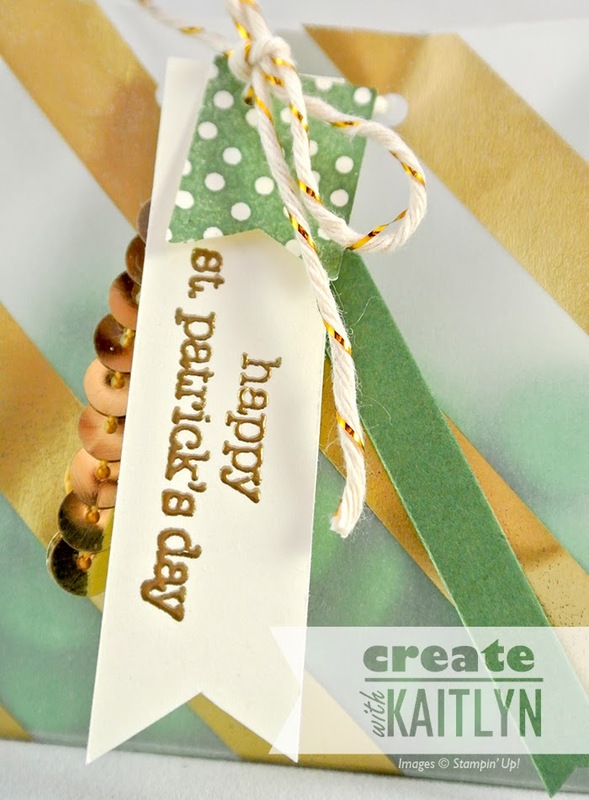 The gold and green together is perfect for St. Patty's Day! When I was searching for a sentiment to stamp, Teeny Tiny Wishes came to the rescue! This stamp set has a sentiment for everything, and I mean everything! The sentiment is embossed in Gold Stamipn' Emboss Powder. Also, I used some Garden Green accents to go with the gold. One quick tip: the Gold Sequin Trim is attached to the back of the white flag with a glue dot. 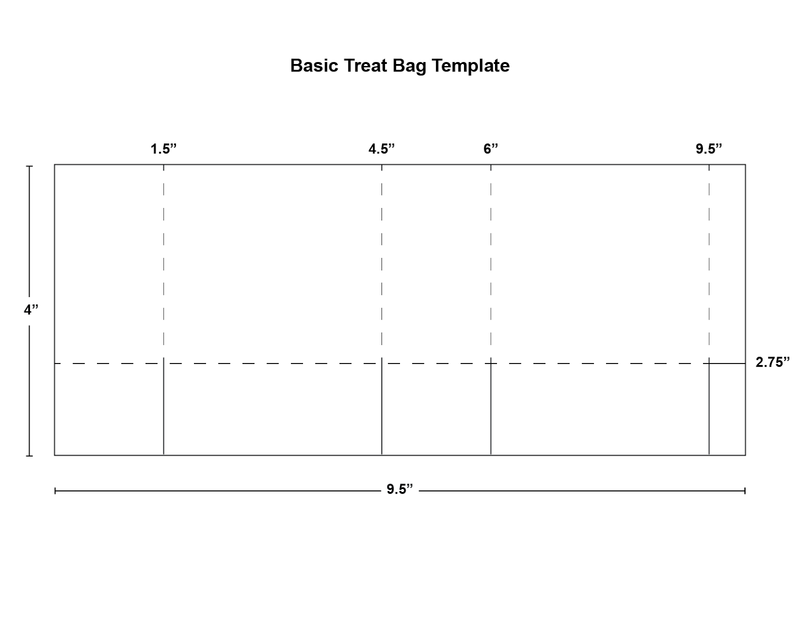 Above is my measurements for this bag (click on it to make it larger). With it being 4" tall, I can get 3 bags out of one sheet of Vellum. It is pretty simple, but if you have any questions, don't be afraid to ask! 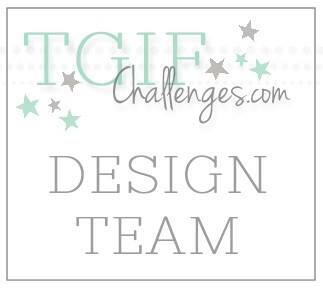 Be sure to head on over the Catherine & Cathy Create to join in on the challenge! 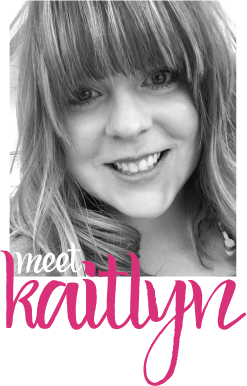 That is so cute Kaitlyn!